Our name is new, but our organization is not. Since its inception in 1987, the then South Carolina Alliance for Arts Education, now Palmetto State Arts Education has been constant in its belief that the study of the arts is essential to basic education and has worked tirelessly to fulfill its mission to advance learning in and through the arts for all students. How has this translated into action? Over the course of the last quarter of a century, PSAE has developed strong partnerships with organizations such as the Arts in Basic Curriculum Project (ABC), the SC Department of Education, and the SC Arts Commission, all key players in the development and delivery of quality arts education within the state. Working in tandem with the SC Arts Alliance, PSAE has sought to develop and maintain support for arts education both at the state and grass-root levels. In looking over the breadth of PSAE’s work, three strands emerge that can be summed up by these words: position, provide and recognize. ​Throughout the course of the year, PSAE is actively involved in projects that support its mission. The fall kicks off with an annual arts integration conference, a two-day event for not only arts specialists, but classroom teachers, administrators, community arts centers' staff, teaching artists – essentially anyone involved in the development and delivery of arts education. During the winter, PSAE hosts a professional development institute designed specifically for administrators involved in the delivery of arts education. In the spring, PSAE turns its focus to its recognition programs – the Awards Program and the Rising Stars Piccolo Spoleto Series. 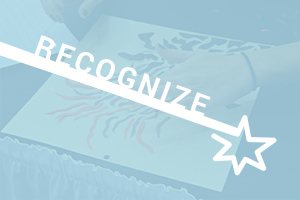 Comprised of three awards, the Awards Program is designed for the recognition of schools and individuals that have had positive impact on the development, delivery and sustainability of quality arts education. 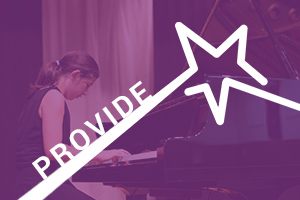 The Rising Stars Series was developed to provide recognition of student artists, who are as such the visible results of quality arts education. During the summer, things don’t slow down with PSAE holding a second institute for arts administrators while working with the SC Department of Education and the ABC Project in the delivery of several professional development summer institutes for teachers. Over the years, one of PSAE’s most important strengths has been the ability to read the contemporary zeitgeist and then recognize and assess the implications for the education environment. 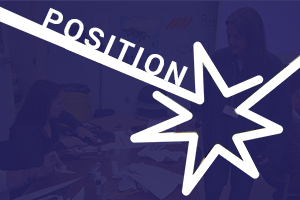 An example of this is PSAE’s 2011 arts integration conference Powering STEM with STEAM! PSAE has long been aware of the power of the arts to transform standard curriculum to provide students with rich, more meaningful experiences that translate into deeper levels of understanding and retention of subject matter. So helping educators to develop and deliver curricula with a focus on science, technology, engineering, and math utilizing the arts was a natural fit for PSAE. With the continued interest in STEAM, PSAE is currently working on ways to help educators expand their knowledge, develop lesson plans, and identify like-minded individuals and institutions with whom they can network. As new ideas and trends emerge, PSAE will continue to monitor and assess the potential impact on arts education, evaluating what educators will need to face new challenges, and developing the resources they will need. Now entering its 30th year, PSAE continues to work to build a brighter future for South Carolina by ensuring the continued growth and expansion of arts education as an essential component of every student’s education. Working closely with other statewide organizations, PSAE works to develop and deliver quality programs that address the needs of teachers and administrators as they strive to create and grow quality arts programs in our schools.